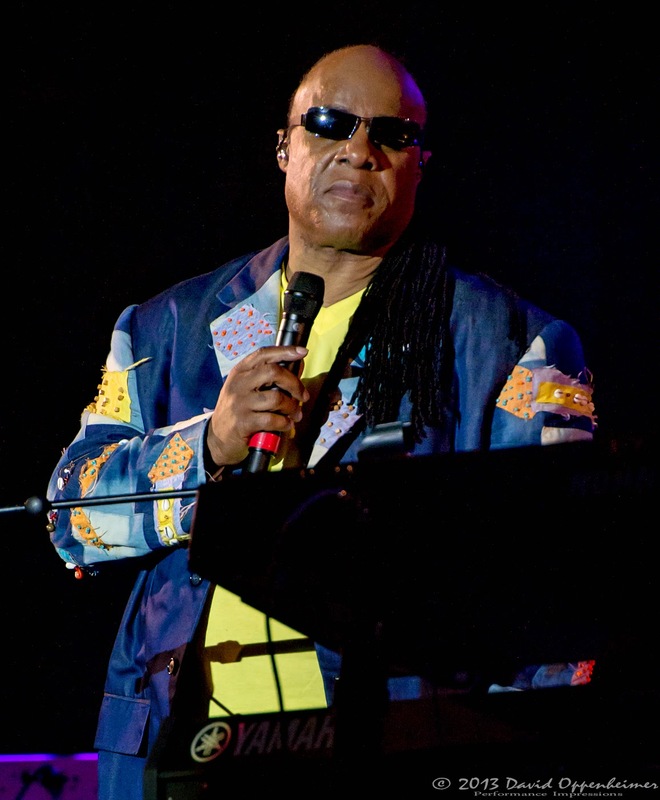 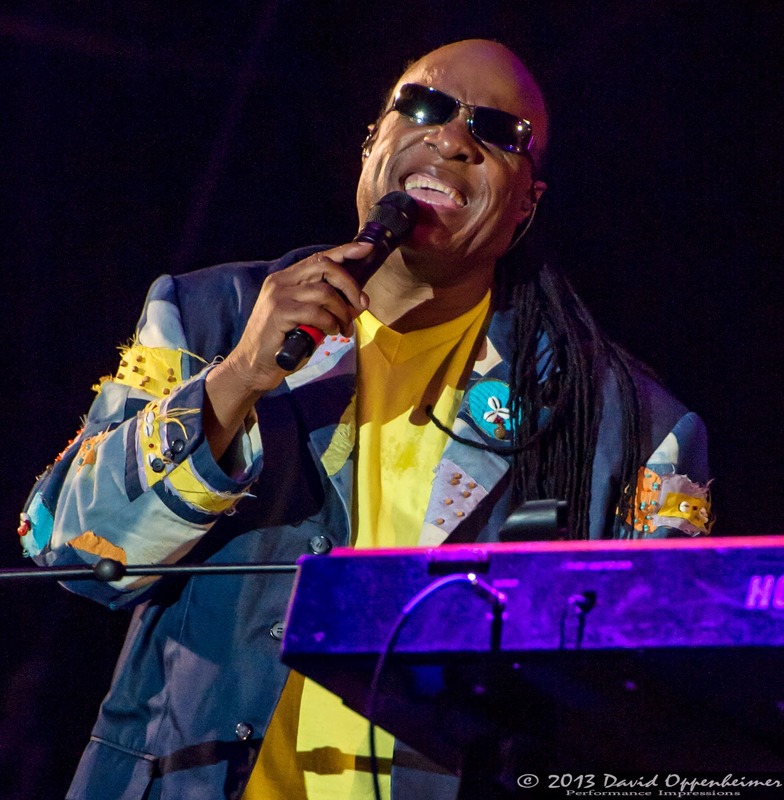 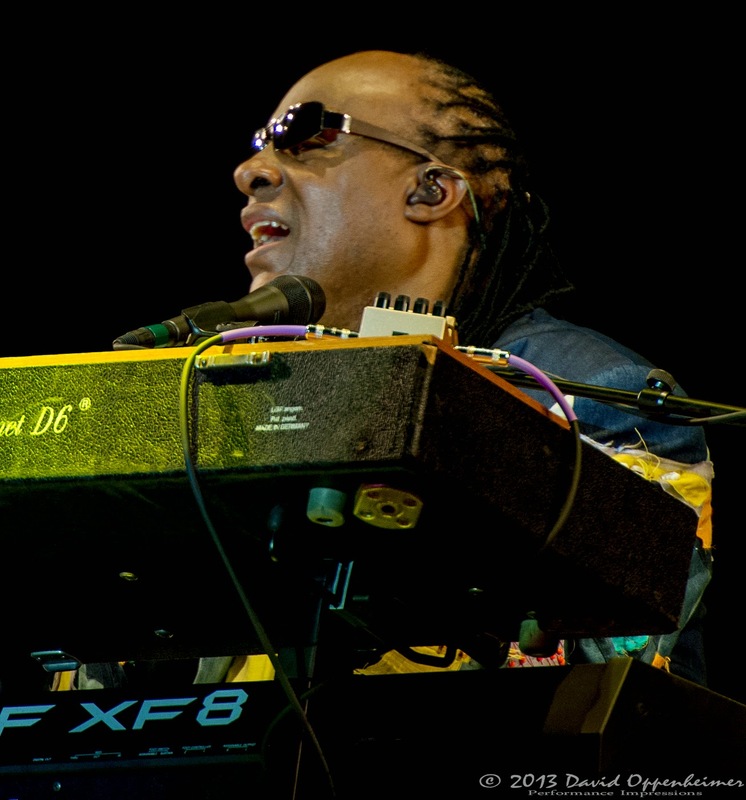 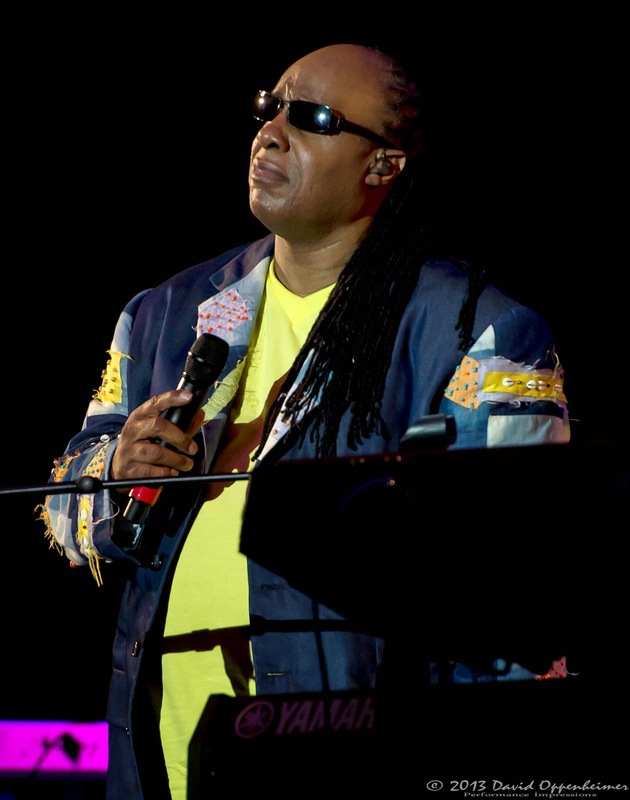 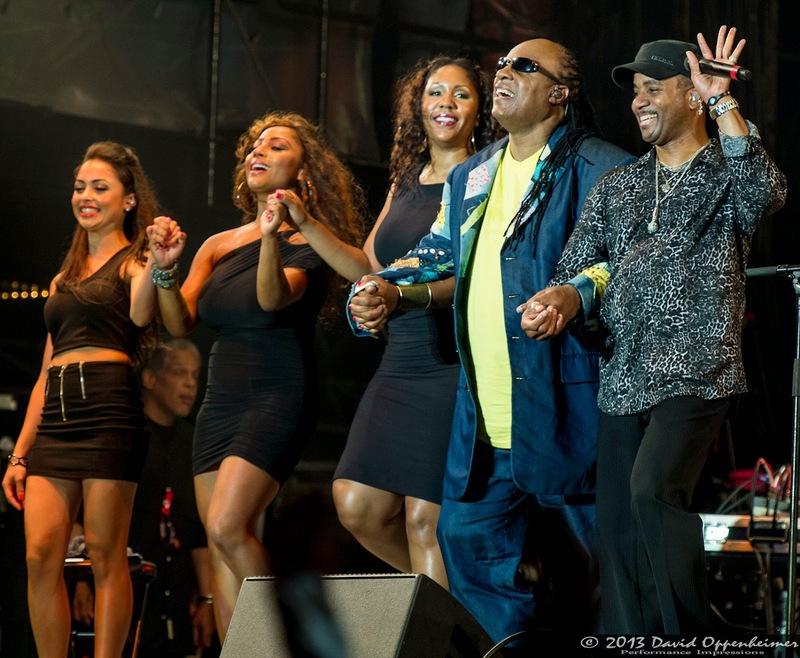 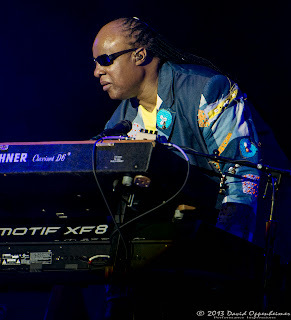 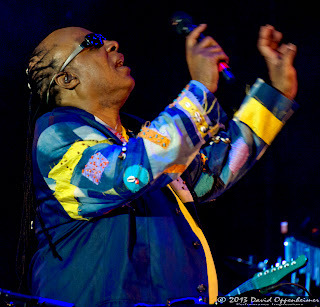 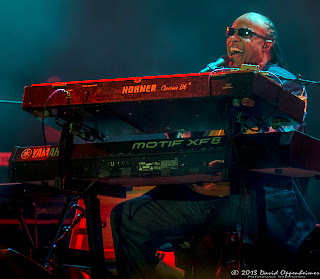 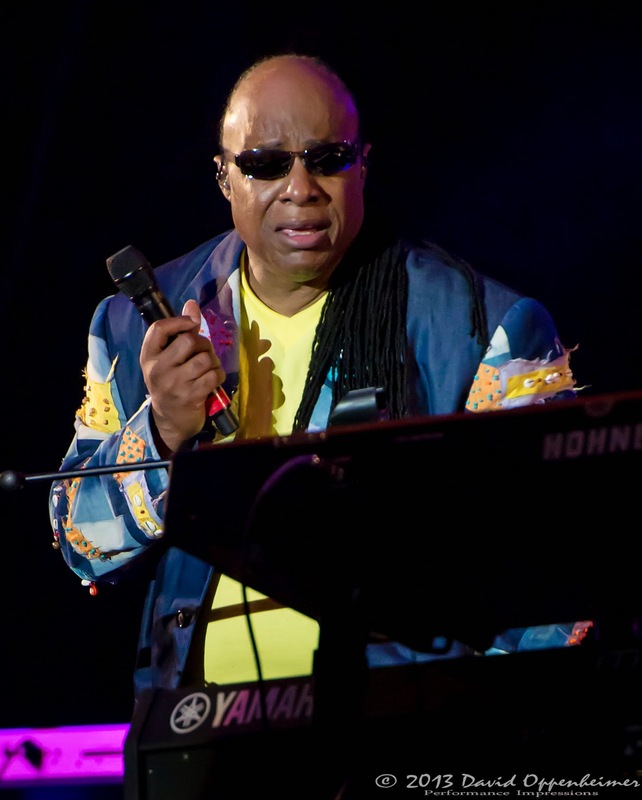 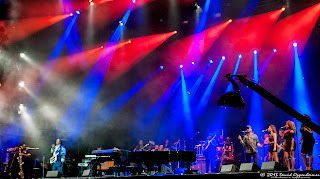 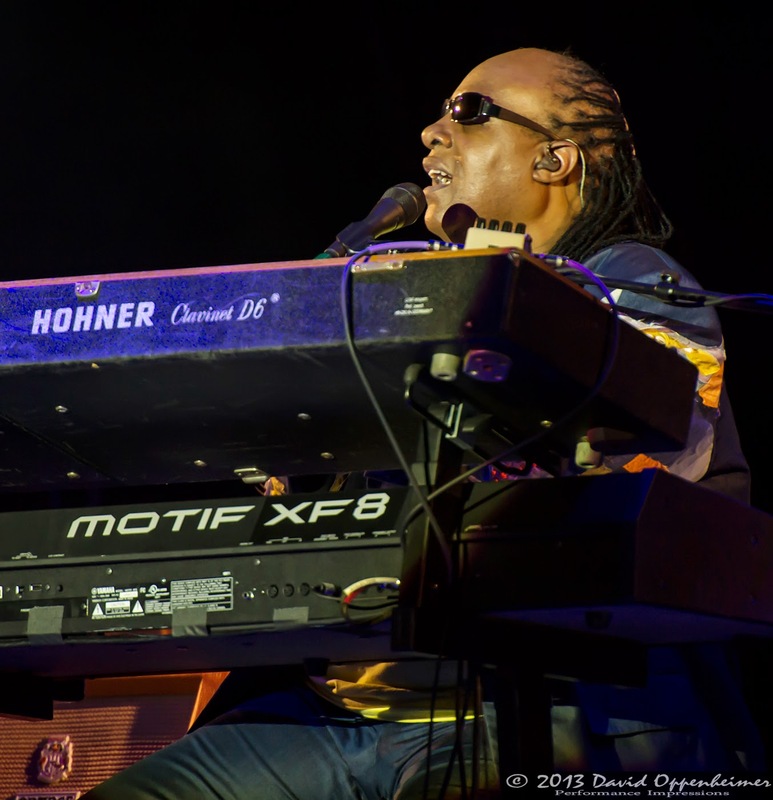 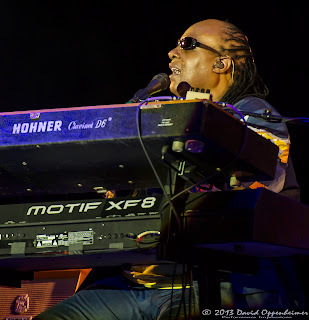 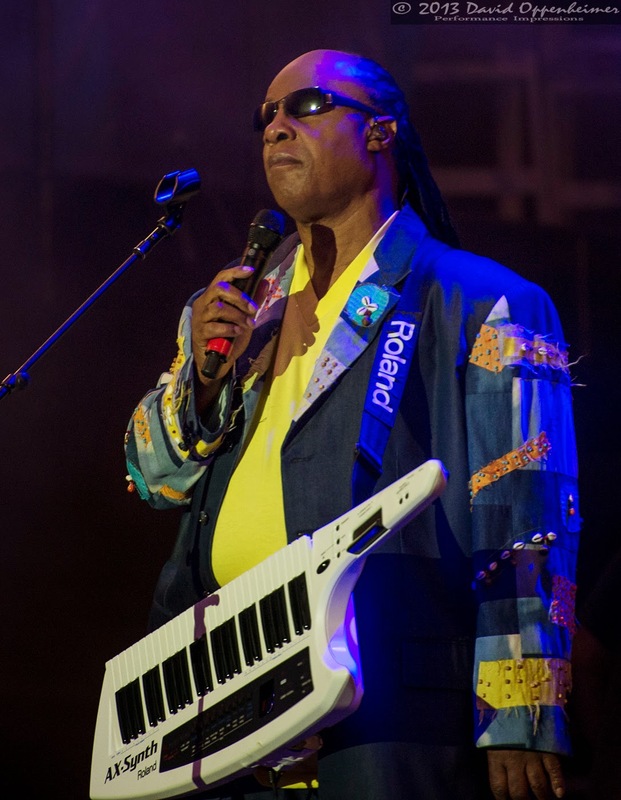 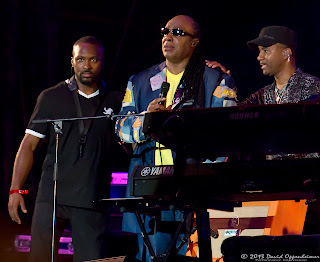 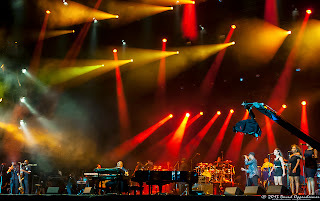 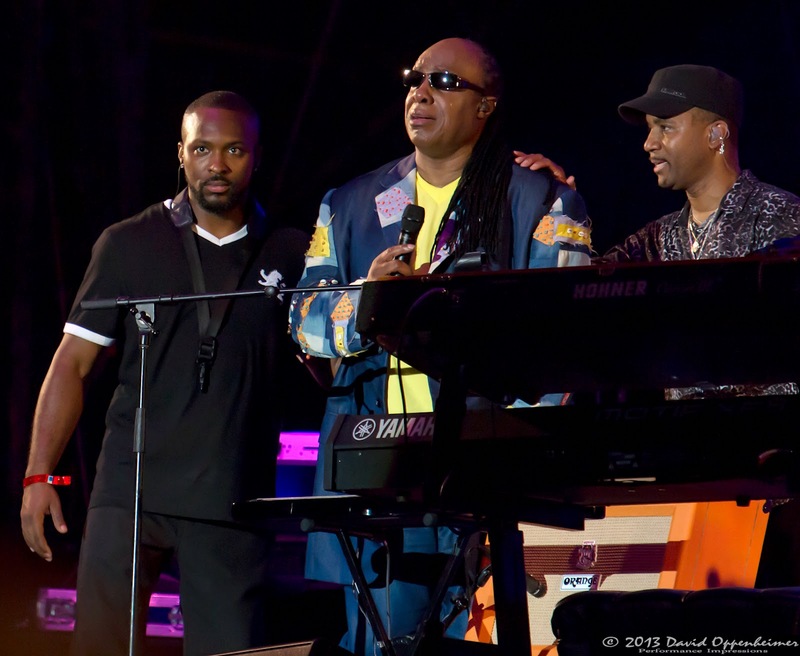 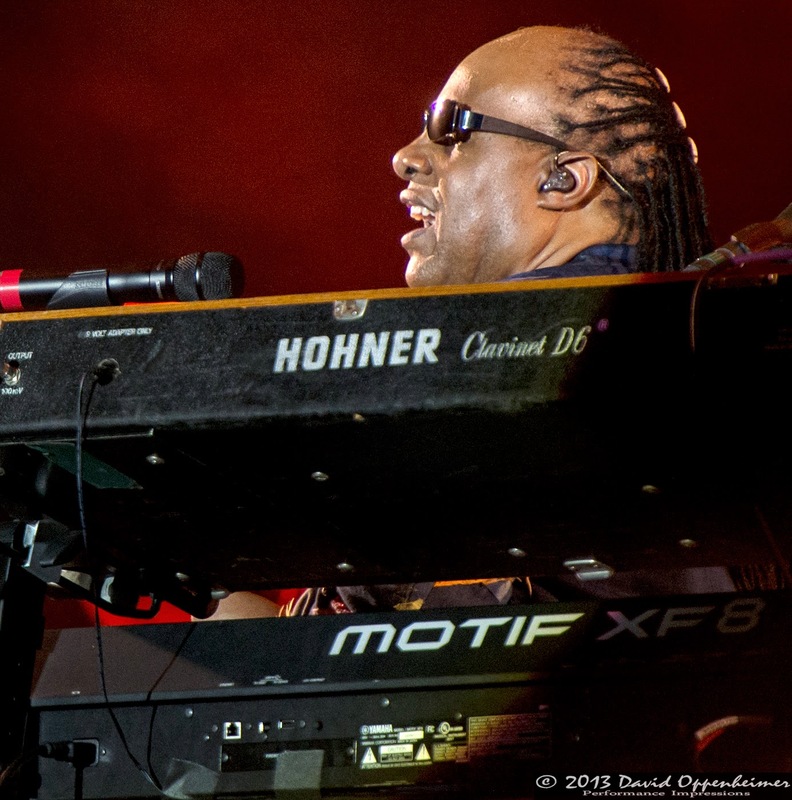 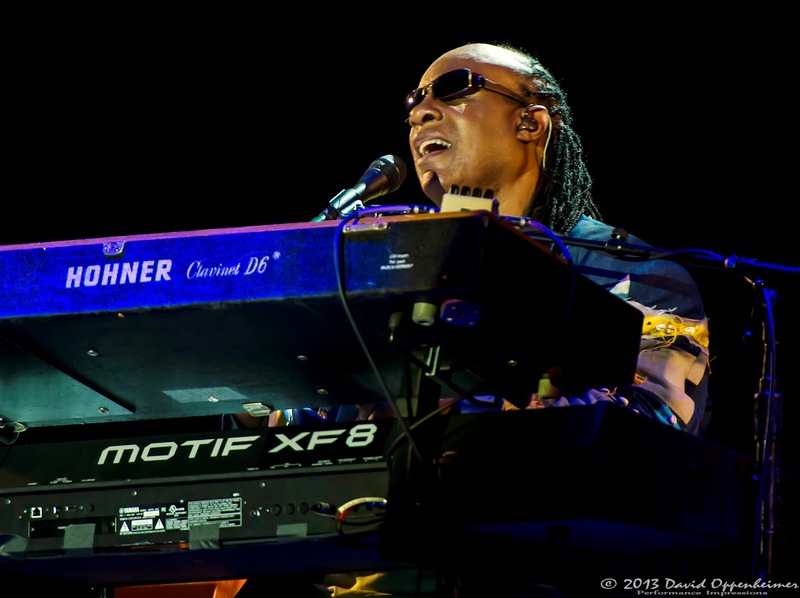 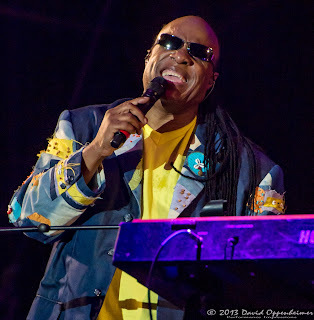 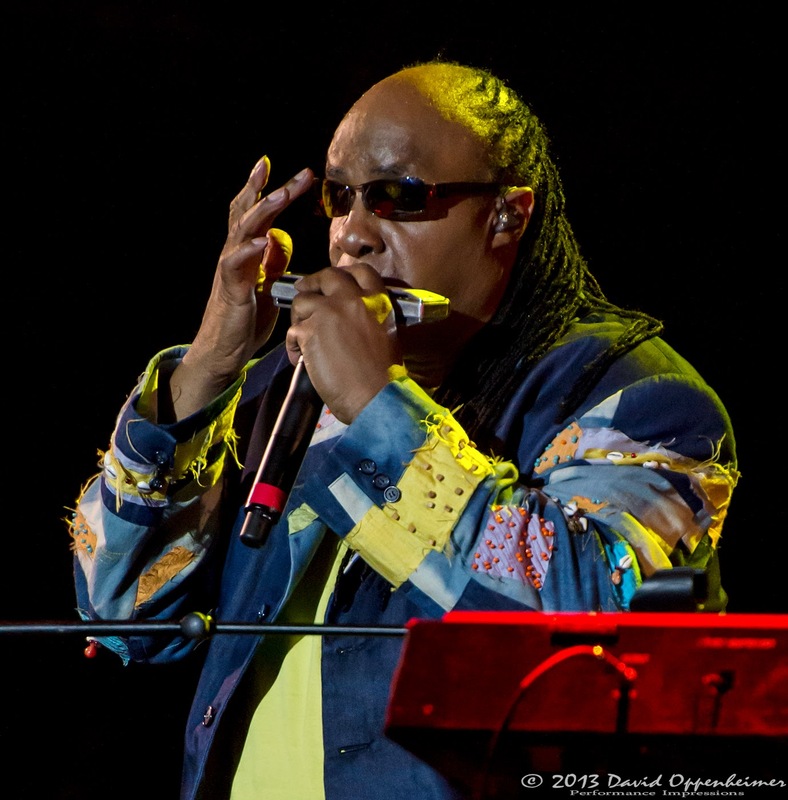 As the final act to play for the weekend, Stevie Wonder closed out the 2013 Hangout Festival in Gulf Shores, Alabama with a bang. 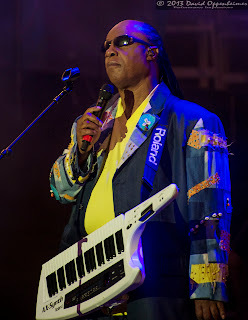 His performance was quite an epic grand finale for any festival. 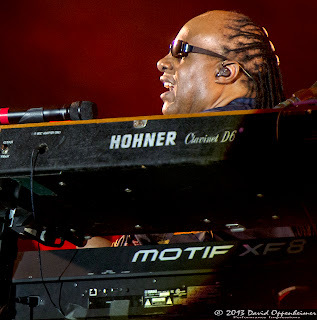 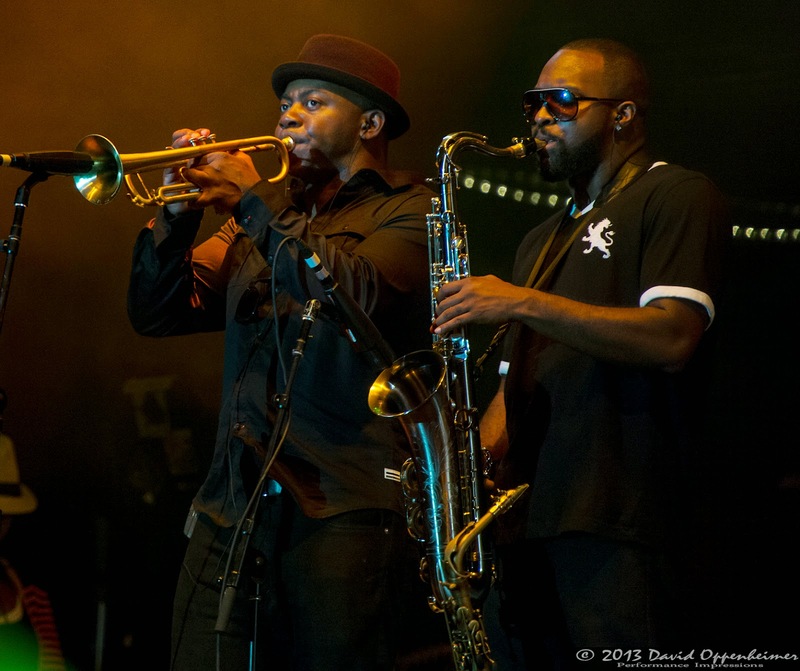 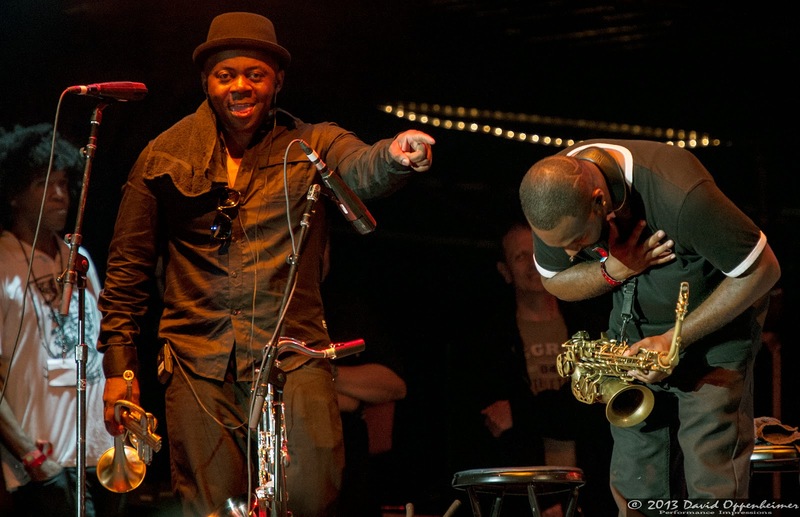 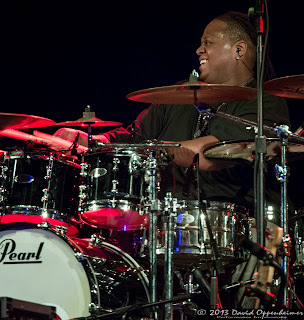 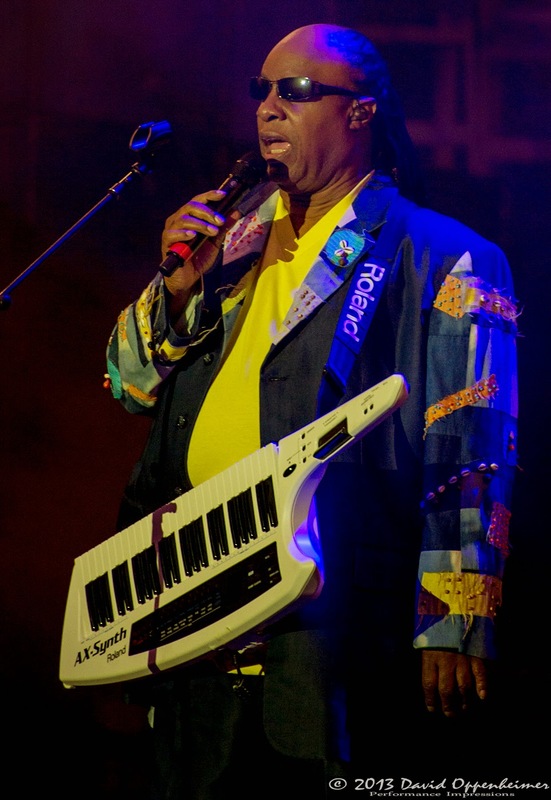 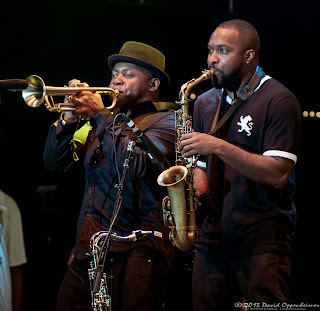 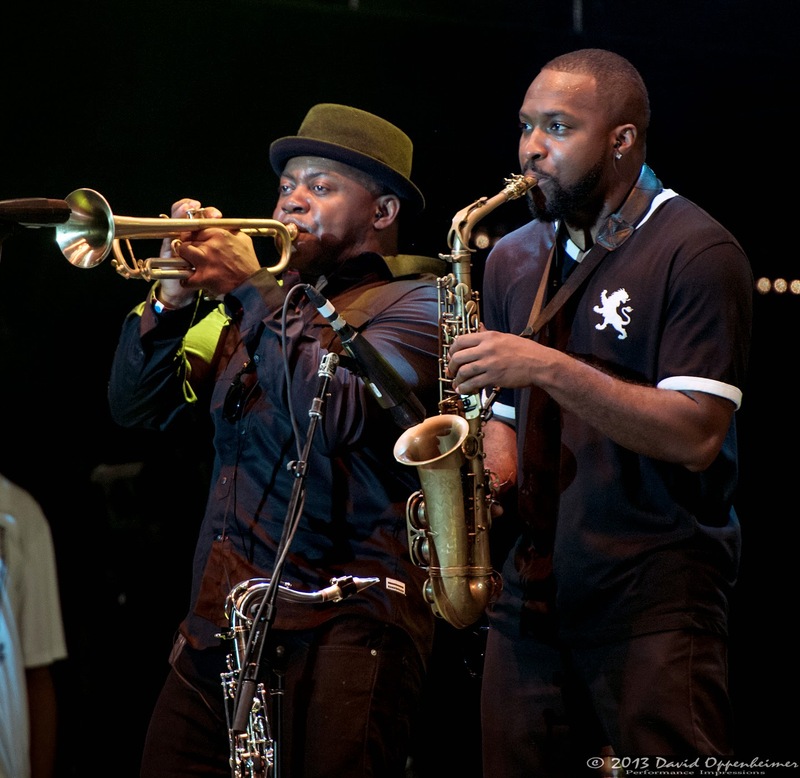 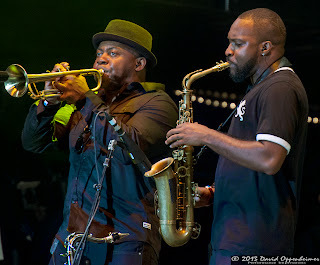 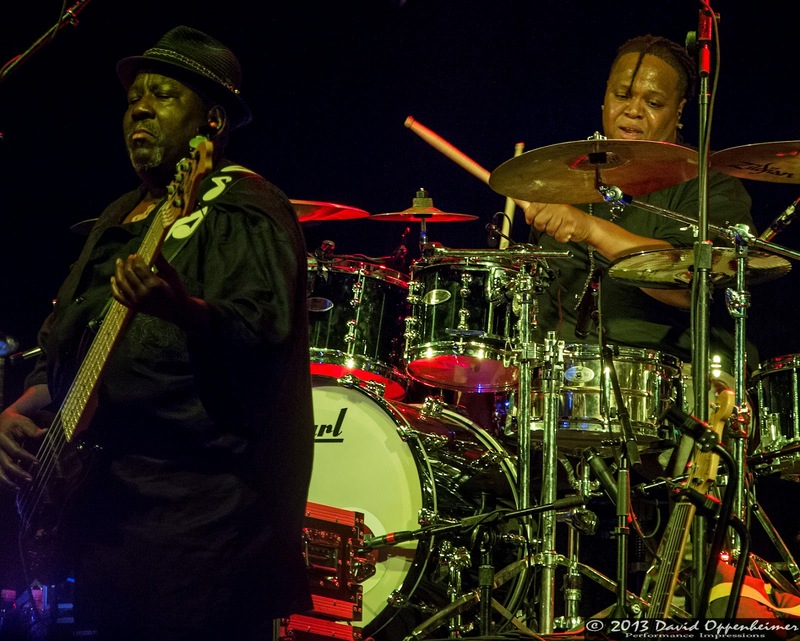 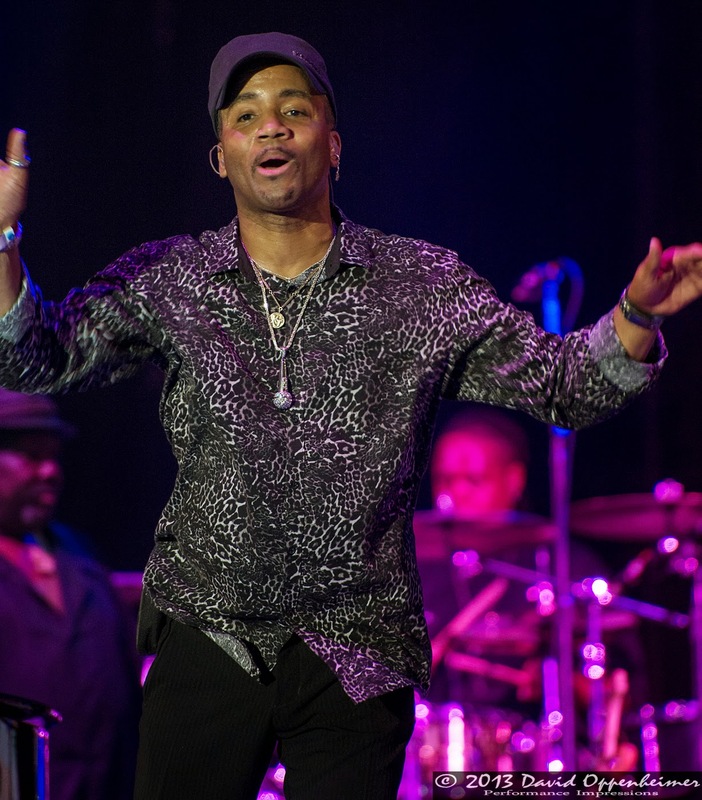 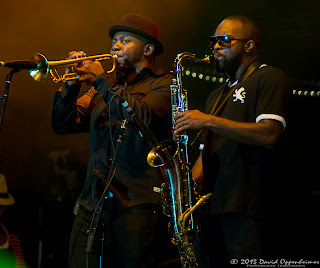 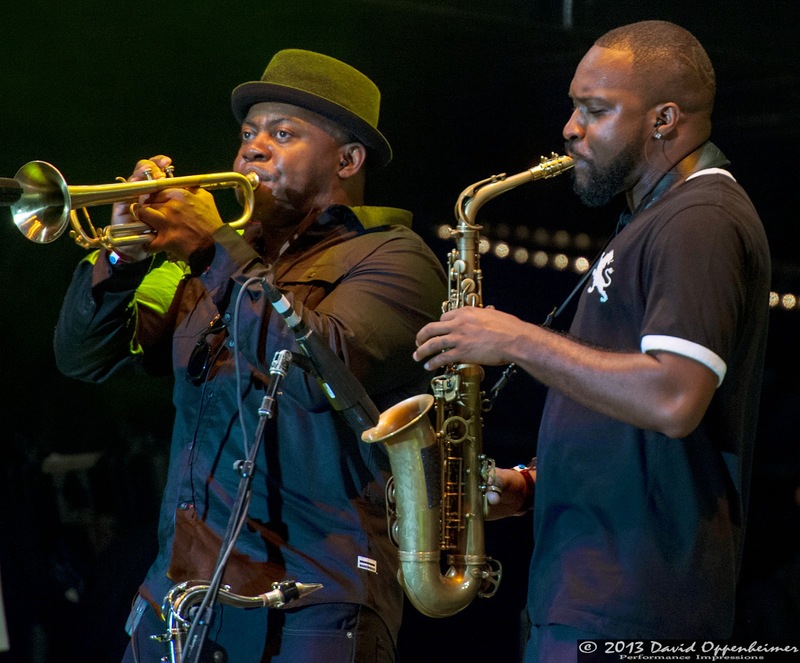 His large live band includes Stanley Rudolph on drums, Nathan Watts on bass guitar, Errol Cooney on guitar, Ryan Kilgore on saxophone, Dwight Adams on trumpet, Fausto Cuevas and Munyungo Jackson on percussion, and of course, Stevie Wonder on piano and keys. 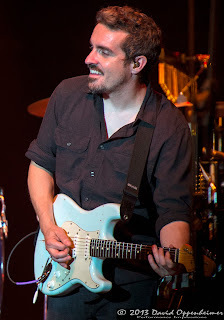 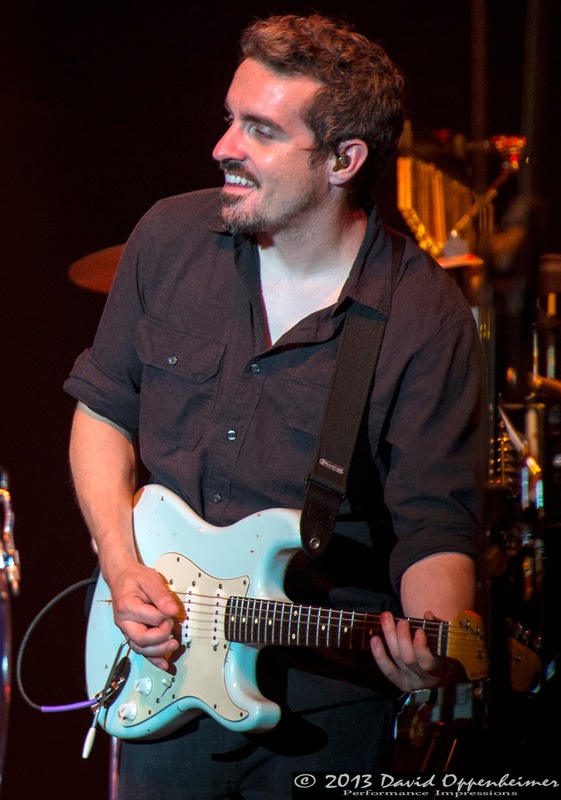 His backup vocals are led by his daughter, Aisha Morris, Keith John, and LaNeesha Baca. 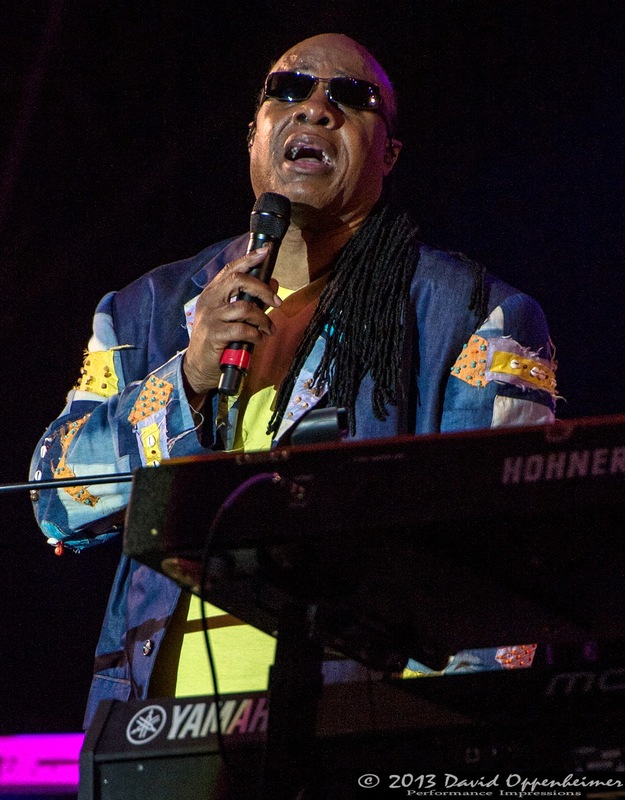 Wonder opened the show with a cover of Marvin Gaye’s “How Sweet It Is,” which would set the tone for the rest of the rest of the night. Practically every song was a well known hit that was either a cover or a Stevie Wonder original. 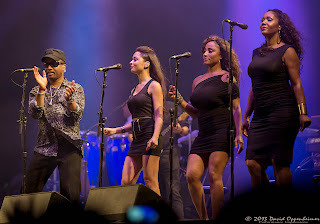 Also covered were Michael Jackson’s “The Way You Make Me Feel,” Parliament’s “Give Up the Funk,” Bob Marley’s “Is this Love,” and “Day Tripper” by The Beatles. Amongst the Stevie Wonder bangers that came out were “As,” “Signed, Sealed, Delivered I’m Yours,” and a “Superstition” encore as the last song of the Hangout 2013. 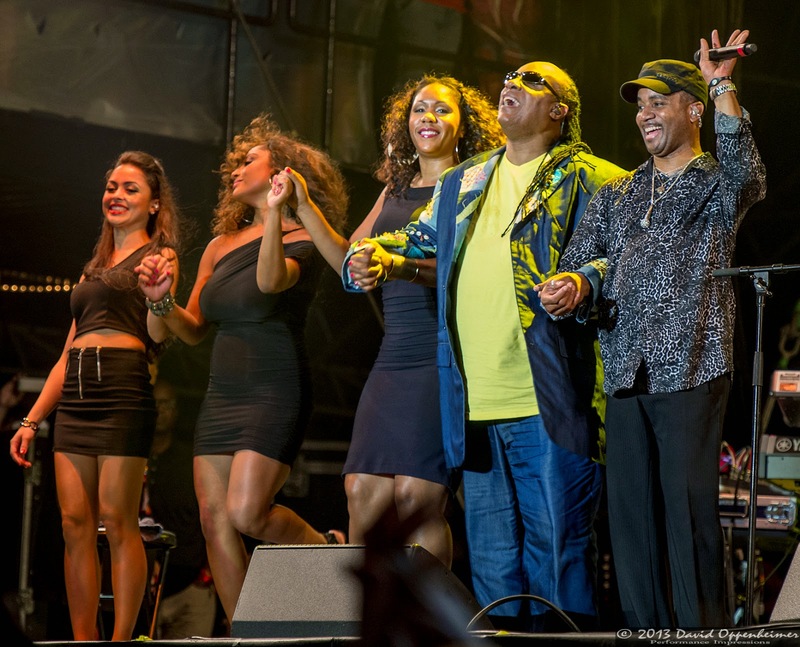 By the end of the show everyone in the crowd could look around and see the unity that had formed between total strangers, with everyone realizing what an epic weekend of amazing music on the beach they had had. Stevie Wonder’s inspiringly beautiful performance was the magical ending to it all. Since starting his musical career almost fifty years ago, he has won twenty-two Grammys and has had over thirty top ten hits. 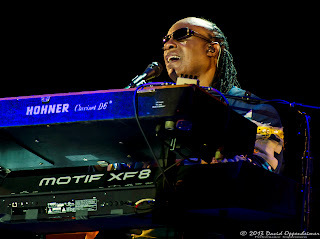 He has been an integral part of American soul, R&B, and rock and roll. His only other performance scheduled at this point in time is the top billed headlining slot on Sunday, July 14 at Festival D’ été de Québec, which translates to Quebec City Summer Festival.